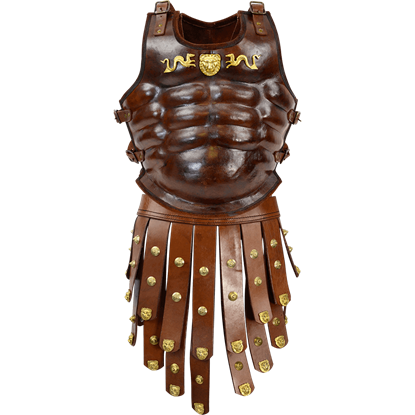 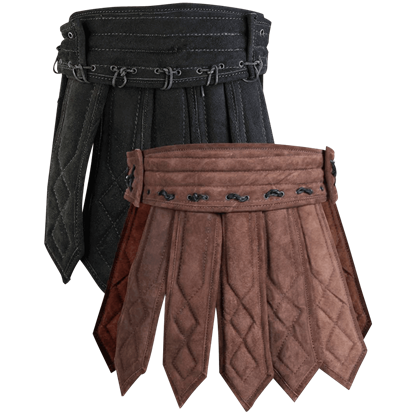 Create your own lamellar armour or add unique flair to your favorite armour pieces with the Shapur Leather Lamellae Plates. 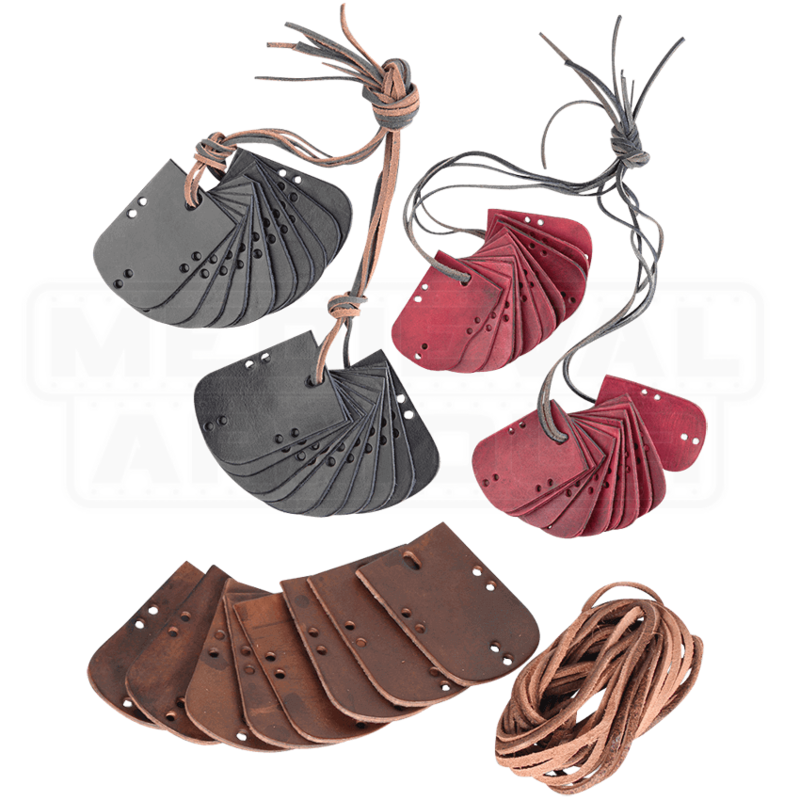 Great for various sorts of DIY endeavors, this set includes 20 rectangular leather scales. 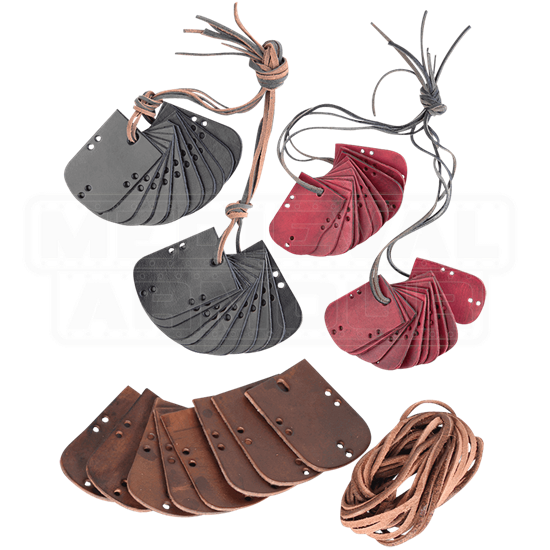 Leather cording available separately. 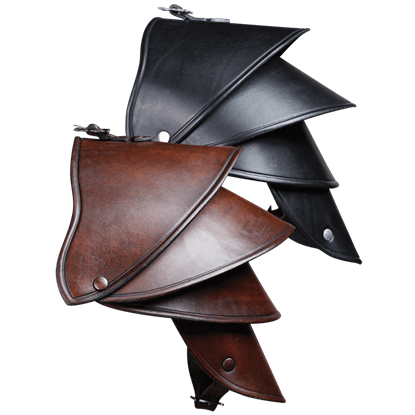 Small holes are punched on all four sides of each scales surface for weaving the scales together, granting each piece great versatility. 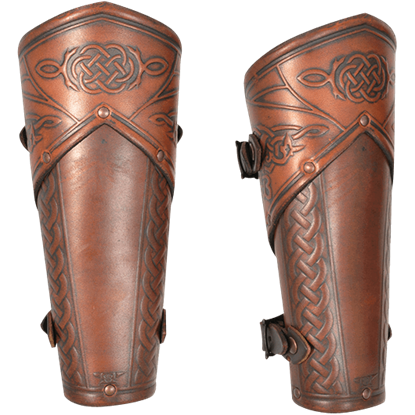 Use these leather scales to embellish or repair an existing medieval and fantasy armour piece, like the Shapur Leather Lamellar Armour, or realize your own imaginative armour creation with these unique, multipurpose armour pieces.